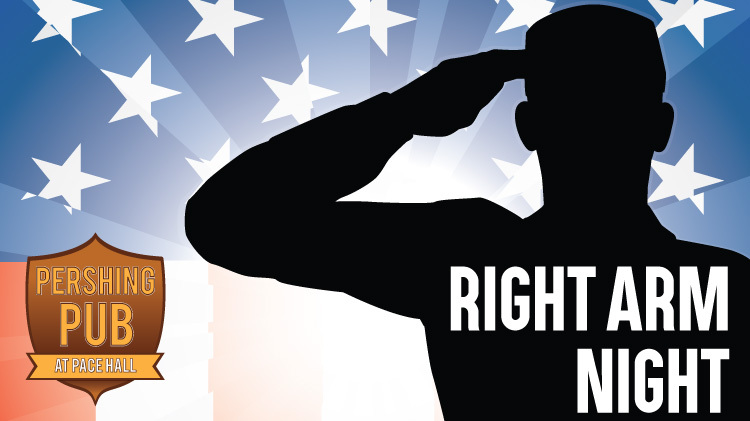 Date: Feb 22 2019, 4 p.m.
Mark your social calendars and show your right arm how much you appreciate their service during Right Arm Night, starting at 4PM at The Pershing Pub. There are FREE appetizers and great drink specials! This event is a great place to get together and unwind after a long week! It is proudly sponsored by First Command! FREE to enter, drink prices vary.